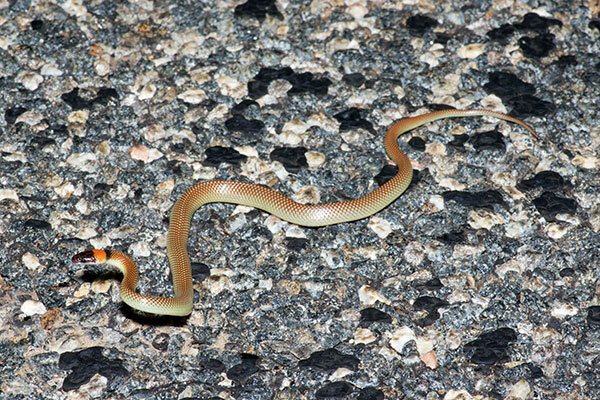 I hadn't seen any snakes in a week when I found this pretty elapid crossing the road at night. 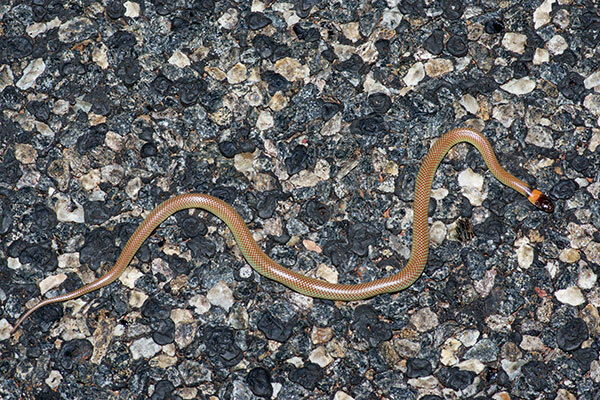 That's way too long to not see a snake in Australia. This little guy tried to make up for it by putting on a show. When I tried to get into a good position for a photo, it would lift its head the front part of its body as high as it could go, and then a little higher, causing it to topple over awkwardly. 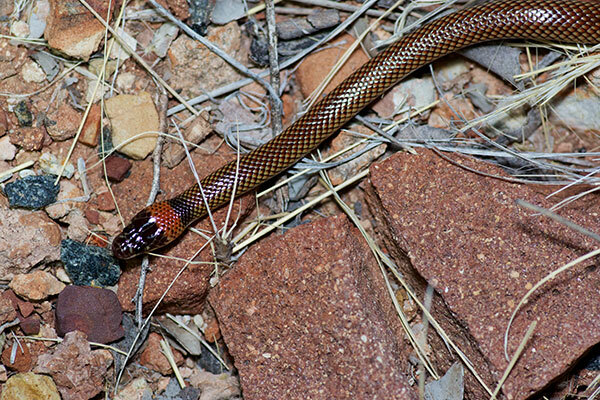 This would leave it in some bad position relative to my camera, so I'd maneuver into a better spot, and then the snake would repeat its little act. I heard behavior this described somewhere as "cobra-like", but cobras always look so menacing and in control of the situation, and this snake just looked clumsy. 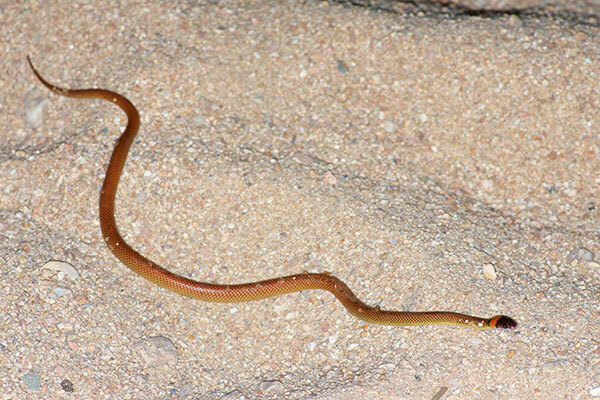 This snake was on the shore of a waterhole, and sand was sticking to its body, so I'm pretty sure it had recently been in the water. 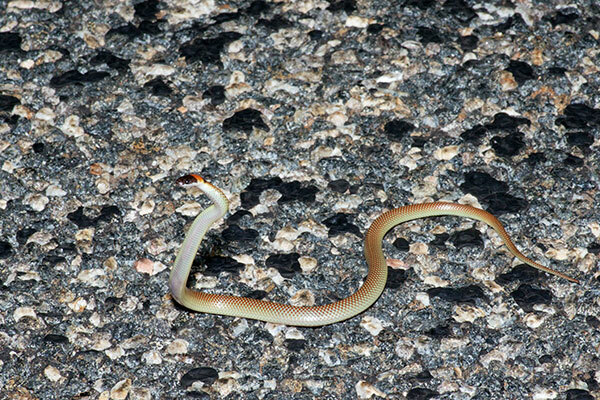 This species is a specialist in eating sleeping skinks, so I'm not sure what it was doing there.